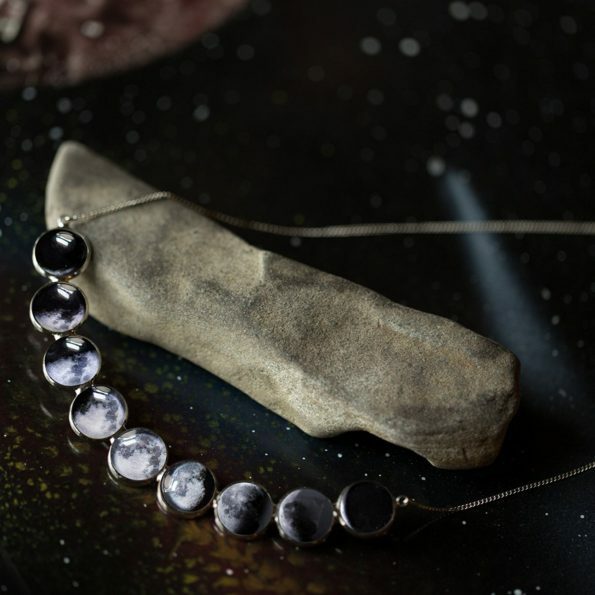 Check this amazing moon phase necklace, it is a wearable tribute to the changing face of earth’s silvery satellite. The moon phase necklace is inspired by the lunar cycle where a fine art artist created this beautiful necklace. It has seven waxing and waning phases of the moon, which are represented by digital images set in a bib-style array of rhodium-plated bezels. Buy Now!! !